SA Drones • View topic - Quad V2 H shape vs X shape. Quad V2 H shape vs X shape. Right so like the topic, I am in the process of building a new quad. Mainly to have one to that I can throw around and abuse and learn, and a second one for FPV and Video platform. I ordered some motors (Some nice cheap turnigy's will post a review if they are worth looking at in the future) and now my main focus has turned to the frame... The thing that brings everything together. So now I want to know. A H-style frame vs a normal X shaped. Looking to go a bit bigger with the new one to get improved stability because a 450mm is nice, but wobbly in wind. Seems like most H frames are >500mm since they are H shaped so that will increase stability and one main focus of it is the fact that you have a huge amount to mount cameras and other stuff where a normal X shaped one does not have a lot of space. The pro's of a X shaped is that its cheap, normally easy to replace and fix, and just fun to fly. So now I want to here from some other members, have you flown both X and H style frames and if so, what did you like, was it different and what would you recommend? Does the size really increase stability that much? Re: Quad V2 H shape vs X shape. 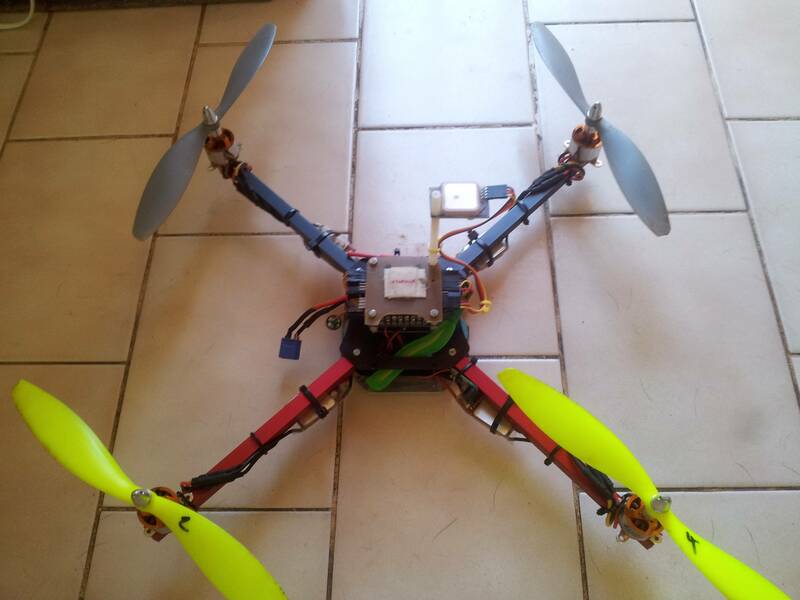 I am in the process of designing/building a new quad for FPV. You have pretty much nailed the benefits of the H frame for FPV and that is real estate for mounting your gear. Another benefit is that they are easy to scratch build as well as having the benefit of placing the camera far enough forward to not have the props in view. 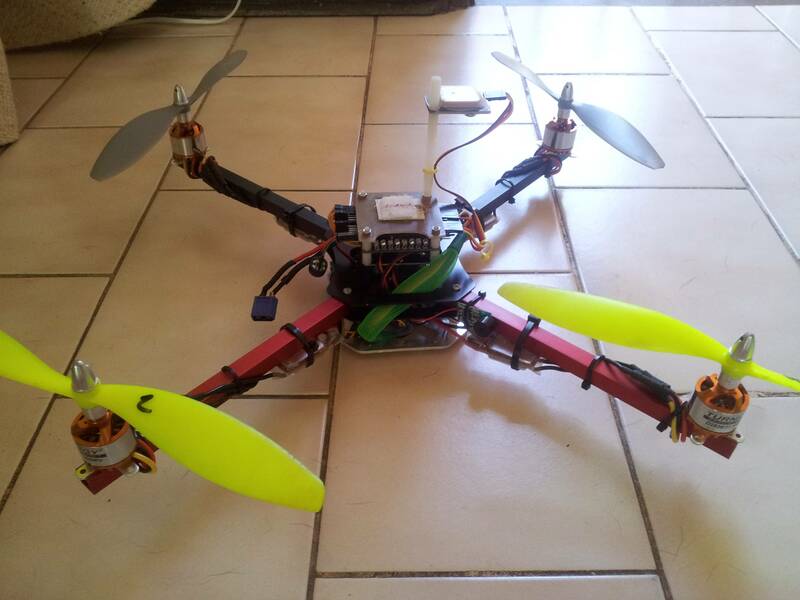 DanZ wrote: I am in the process of designing/building a new quad for FPV. You have pretty much nailed the benefits of the H frame for FPV and that is real estate for mounting your gear. Another benefit is that they are easy to scratch build as well as having the benefit of placing the camera far enough forward to not have the props in view. On the topic of basher quad. I will upload some pictures later, rebuilt my quad last night with the frame I ordered from you some time ago. 4 x50m falls, 10 trees, some pavements and a roof later it was time to replace it haha. It still flew quite nicely tho. Epic frame for learning, it can take damage like a machine! Thats the person and the frame. Its not a TBS discovery but looks quite decent. So I finished rebuilding my basher quad! Weighs just under 910G so is extremely light and fast, also much stronger than it looks.